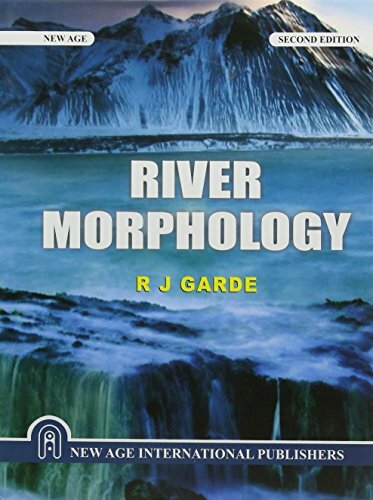 River Morphology synthesizes the contributions made by geologists, geomorphologists, geographers, hydraulic engineers and hydrologists and presents a coherent text which takes a balanced view about formation on alluvial rivers and their hydraulics, and analysis of their response to natural and man-made disturbances. The text covers discussion about history of fluvial hydraulics and geomorphology, drainage basin characteristics, soil erosion, fluvial morphology, principles of sediment transport and hydraulics of alluvial and gravel-bed rivers, river bed and channel changes, palaeo-hydraulics, analytical and numerical modeling of alluvial stream transients, morphology of some Indian rivers, rivers and environment, and data needs for morphological studies. Inclusion of two chapters on modeling offers valuable tools for quantitative analysis of a number of problems in alluvial stream transients. River Morphology should be useful to undergraduate and graduate students in geology and engineering, to those interested in rivers and involved in planning and management of rivers. We specialize in used scholarly, technical, and textbooks of all ages. Seller is Half Price Books, Records, Magazines, Incorporated, a Texas corporation. Its business address is 5803 E. Northwest Hwy., Dallas, TX 75231. Consumer complaints should be directed to Half Price Books, 3860 La Reunion Pkwy., Dallas, TX 75212. Consumers may also email complaints to serviceohio2@hpb.com or call 800-883-2114. Orders usually ship within 2 business days. Shipping costs are based on books weighing 3 LB.